We are delighted to announce that our keynote speaker this year is Trevor Muñoz, Associate Director of the Maryland Institute for Technology in the Humanities (MITH) and Assistant Dean for Digital Humanities Research at the University of Maryland Libraries. MITH is one of the leading digital humanities centers and supports digital scholarship in its many forms, specializing in text and image analytics for cultural heritage collections, data curation, digital preservation, linked data applications, and data publishing. You can explore many of MITH’s innovative digital projects on their Current Projects webpage. This entry was posted in Uncategorized on July 27, 2013 by dawn. 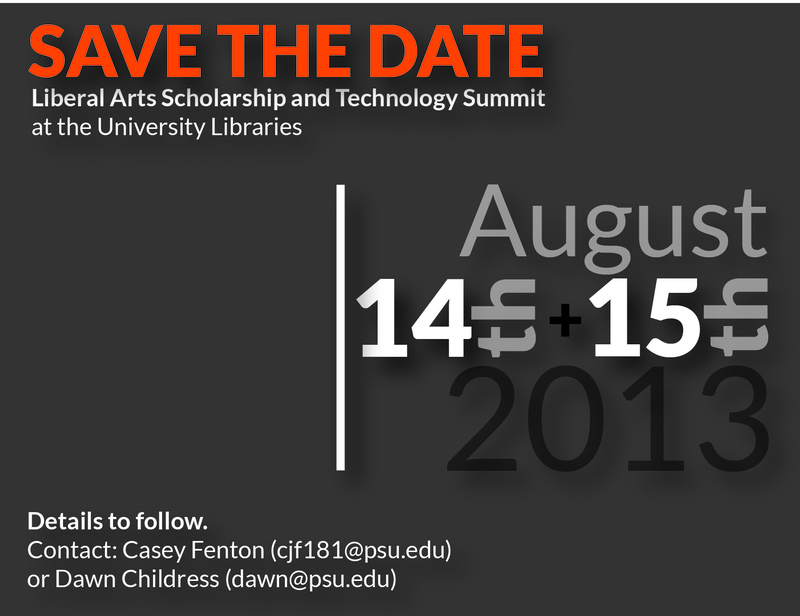 Mark your calendars for the upcoming Liberal Arts Scholarship and Technology (and DH) Summit! 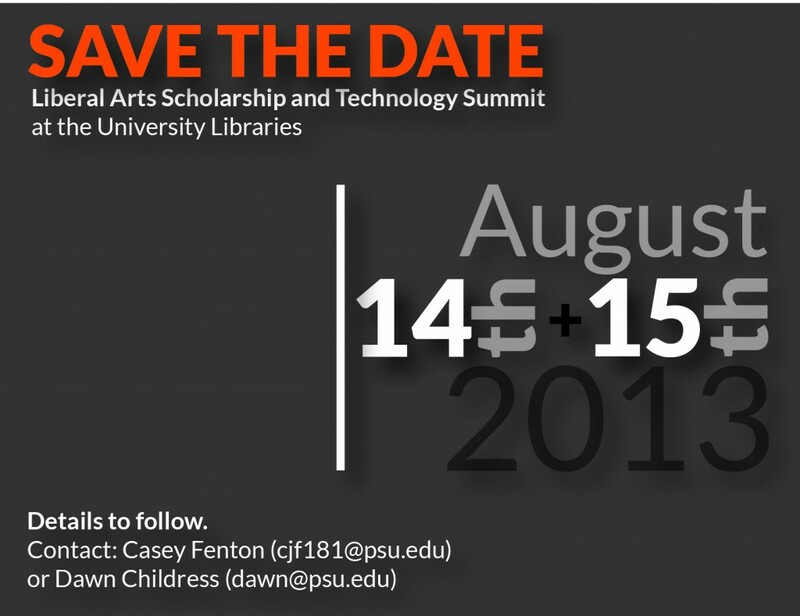 This year summit will be held on August 14 and 15. This entry was posted in Uncategorized on June 15, 2013 by dawn.